Perhaps it has become a bit trite to say that you can’t choose your family. As worthwhile and notable as the lives of many Dunhams have been through the past centuries, it is only to be expected that some will fall short of what we might hope to learn about our ancestors. Certainly it is a part of genealogy to discover rogues and rascals lurking in the family tree. But if hundreds of years of the Dunham tree have produced great virtue, we should not be surprised that great vice has also come from those same roots. 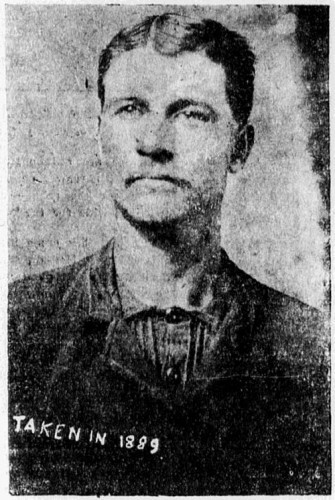 And few family trees have produced as infamous a villain as James C. Dunham (Isaac Wilson, Isaac Lucas, John, John, Ebenezer, Samuel, Samuel, Deacon John). By 1860 Isaac Wilson Dunham was residing in Sacramento County, California with his brother James, who was born about 1840 in Carver; both were farmers with their land valued at $900.2 Sometime between then and the 1870 Census, Isaac married Kate, a native of Ireland who was characterized by such a stormy temper that she was known as “Kate the Terror.”3 They were then residing in San José, Santa Clara County, with their two sons James, age 5, and Charles, age 2.4 Isaac’s occupation is noted as a gardener. He must have been quite a gardener, for the value of his real estate was $6,000. 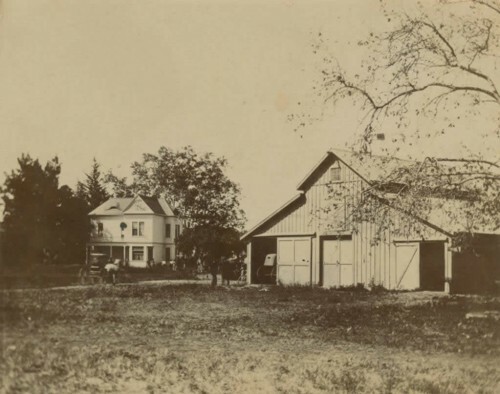 Most likely he was an orchardist; his neighbors are members of the prominent Campbell family who made their fortunes as orchardists and whose family name was given to the town which figures in this story. Hattie was born about 1869 in California. Her parents were Osborne C. Wells, who was born about 1837 in Illinois, and Ada M. Kendall, born about 1843 in Maine. They also had a son, James, who was born about 1874 in California. Osborne died in 1883,10 when Hattie and James were still children, and Ada married Colonel Richard Parian 11 McGlincy “seven or eight years later.”12 McGlincy was a native of Virginia, a Civil War veteran and leading citizen of the town of Campbell just outside San José.13 In Campbell Hattie and James Wells lived a privileged life. The night of May 26, 1896, the town of Campbell would remember for more than 100 years.20 Indeed, the events of that night would remain unparalleled in all of Northern California for a century, and would occupy California law enforcement and newspapers for decades. James and Hattie at the time were estranged after an argument,21 and a volatile James went up to the McGlincy house on Los Gatos Road, perhaps with the intention of seeking reconciliation with his wife and son. But perhaps not. Horrific photographs exist of what happened there. The Colonel and his stepson were not home. According to reports, James went upstairs, strangled Hattie and killed a servant, Minnie Schlesser, with an axe after he encountered her in the hall. He took the axe downstairs and murdered Hattie’s mother. He then sat amid the carnage and waited. When McGlincy and James Wells arrived, Dunham attacked them with the axe and finished them off with a gun as they fled across the yard. Drawn by the gunfire, a hired man, Robert Briscoe, ran to the house and was also shot by James. After hunting unsuccessfully for a remaining hired man, George Schable, who hid in the barn (terrified, for he had heard McGlincy pleading for mercy22 ), James then jumped on a horse and headed for the hills.23 The sole surviving person in the house was the month-old infant Percy, left in his crib. One of the greatest manhunts in the history of Santa Clara County ensued. Various people reported having encountered Dunham that night and in the following days. A multitudinous posse scoured the hills, and the sheriff used bloodhounds to track him.25 The dogs discovered his abandoned horse in the wilderness. Dunham was nowhere to be found. A skeleton found near a creek in the area in 1953 seemed to some proof that the exhausted and hunted Dunham had taken his own life with a remaining bullet in his gun.32 But of course there was no way to prove it. Shortly thereafter, the McGlincy house was torn down, and new homes built along the road now called McGlincy Lane. James C. Dunham is my seventh cousin three times removed. I have an original wanted poster of James C. Dunham. This was a gruesome crime and it’s a shame that it ends with a question mark as to what happened to James Dunham in the end. Much like the Jack-the-Ripper case in the fact that only speculation survives. Regaurding the Dunham I know somehow I am related just cant remember how but I am on Geni and a relative to me on there is directly related lots of Dunham worth checking out! I recently inherited from my sister a number of boxes that contain Brewer information. I haven’t had a chance to go through them yet except for a set of index cards that my uncle Arthur N. Brewer created from his father George Brewer’s memoirs. George was the son of Michael T. Brewer and Harriet Sylvester Kendall according to his index card notes. I’d be happy to share what I come across as I go through the boxes. 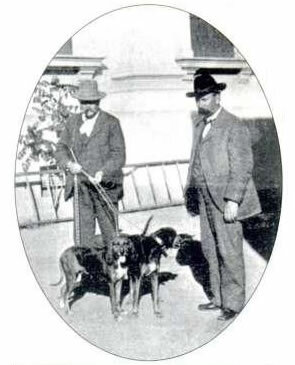 I am writing a book about this case and would like to include the photo of SLO Sheriff Ballou with his bloodhounds. Any idea where I can get a high resolution file and permission to publish it?